Alessandro Patumi | It's too late to die young. KLM Royal Dutch Airlines is the world’s oldest airline, established in 1919. Qantas is the world’s second oldest airline, established in 1920. 40.000 USD for one olive ! In 1987 American Airlines saved $40,000 by removing one olive from each salad served in first class. An aircraft takes off or lands every 37 seconds at Chicago O’Hare’s International Airport. The wing-span of the A380 is longer than the aircraft itself. Singapore Airlines spends approximately 700 million USD on food every year and 16 million USD on wine. Travelling by air can shed up to 1.5 litres of water from the body during an average 3-hour flight. JFK John F. Kennedy Airport in New York was originally named Idlewild Airport. Lufthansa is the world’s largest purchaser of caviar, buying over 10 tons per year. The Boeing 747 wing-span (195 feet) is longer than the Wright Brothers first flight of 120ft. The internet and online check-in were first introduced by Alaska Airlines in 1999. The winglets on an Airbus A330-200 are the same height as the world’s tallest man (2.4m). Total electricity capacity of a one 747-8 can power up to 480.000 32inch flat screen TVs. The world-wide 747 fleet has logged more than 78 billion kilometres, equivalent to 101.500 trips to the moon and back. The 747 family has flown more than 5.6 billion people – equivalent to 80% of the world’s population. At any given hour there are over 61,000 people airborne over the USA. 70% of aircraft today are over 70% more fuel-efficient per seat kilometre than jets in the 1960s. Did you know Qantas invented business class in 1979? Auckland to Doha on Qatar Airways is the world’s longest flight by distance at 14.525 kilometres. By American Airlines switching a pilots paper manuals to iPad they will save $1.2 million in fuel. The average 747 has between 240-280 kilometres of wiring. In the USA, over two million passengers board over 30,000 flights each day. Pilots and co-pilots are required to eat different meals in case of food poisoning. 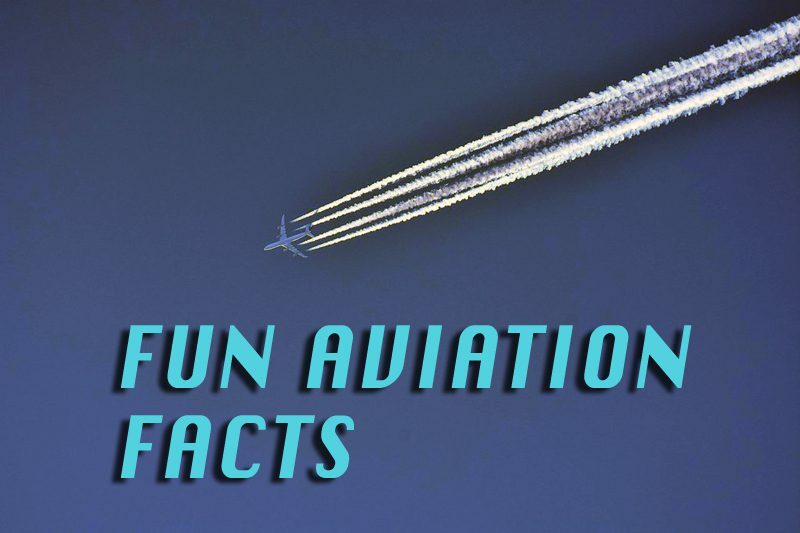 A commercial aircraft flies at an average speed of 800 kilometres per hour. L’uccello che girava le viti del mondo di Haruki Murakami.